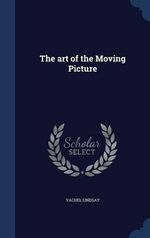 The Art of the Moving Picture is astonishing, as a work of analysis and vision. Over fifty years ago Lindsay saw the hunger that still obsesses the film enthusiast. Sculpture-in-motion, painting-in-motion, architecture-in-motion are nuggets out of which he refines subtle perceptions. Lindsay sees, in 1915, the revolution in human perception involved in the very existence of film. There is a clear prediction of McLuhan in "Edison is the new Gutenberg. He has invented the new printing." Lindsay sees, in 1915, the quintessence of the auteur theory of film criticism, formulated some forty years later: "An artistic photoplay . . . is not a factory-made staple article, but the product of the creative force of one soul, the flowering of a spirit that has the habit of perpetually renewing itself." This book is a considerable marvel. Lindsay had a clear sense that a profound change was taking place, not only in cultural history but in all human histories-the external and also the most secret. And, poet and evangelist that he was, he saw some fundamental ways to understand and use the change. Francis Hackett concluded his review in 1915: "He has initiated photoplay criticism. That is a big thing to have done, and he has done it, to use his own style, with Action, Intimacy, and Friendliness, and Splendor."